Limiting the volume of Russian Joint Implementation (JI) projects is not reasonable, and profit losses are clearly foreseen, if Russia does not join the second period of the Kyoto Protocol. This is the conclusion by experts from Climate Change Global Services in the report on implementation of "Kyoto projects" in Russia. During the first period of the Kyoto Protocol (KP), totally 156 projects involving carbon investors have been started in Russia. The expected emission reductions are over 386 million tons of CO2. The experts from Climate Change Global Services (CCGS) write: "By the end of October (2012), Russia had 108 approved projects with total carbon potential of 311.5 million tons of CO2-equivalent. Another 42 projects worth over 72.7 million tons are left out only because of the unnecessary artificial limit set by the government. This limit has no sense, and its goal is unclear. No other country has anything like that." 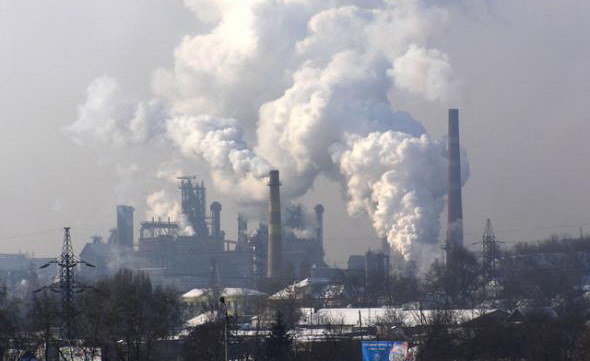 According to the CCGS, from about 100 million emissions reduction units (ERUs), reached by foreign partners, 66% are emissions reductions of hydrofluorocarbons and sulfur hexafluoride at just two companies, in Perm and Kirovo-Chepetsk. The second place is taken by ERUs from projects for utilization of associated petroleum gas, and the third – by the reductions due to introduction of new technologies in the steel industry. Projects to improve energy efficiency, energy saving, renewable energy and biofuels total less than 5% reduction units sold. The share of such projects in the total carbon potential of the projects approved for implementation according to Article 6 of the Kyoto Protocol in Russia is about 20%. Russia has the last chance to reserve the possibility for joint implemention projects. If at the climate conference, which takes place now in Doha, Russia decides not to join the second stage of the KP, the country will lose the opportunity to participate in the Kyoto mechanisms, and lost revenues will amount up to tens of billions of dollars. According to Sberbank, Russia's project portfolio of almost 400 million tons is now the second largest in the world after China with reduction totaling about 700 million tons. Additionally, if Russia will continue to participate in the mechanisms of the Protocol, the national portfolio will grow annually by about 100 million ERUs. The total emission reduction potential for projects in Russia, according to Sberbank, is 1.2 to 1.5 billion tons of CO2, and direct carbon investments are 250 to 300 billion by 2020. In this case, the tax earnings only from direct carbon revenues may additionally make about 100 billion rubles, and the contributions to the pension and other social funds - more than 18 billion rubles. According to Below2 NGO bulletin, the Russian delegation in Doha "must stop pretending that it is necessary to choose between participation in the second period of KP and a new international climate agreement and decide to join (KP-2), because there is no contradiction, and both are needed to prevent catastrophic climate change."